Everyone knows how important filtered drinking water is to them, it’s why bottled water is in such high-demand. Before March 2018, we knew very little just how bad bottled water was. Drink only the best water with U.S. Water’s Drinking Water Systems! With our Reverse Osmosis (RO) water system, you’ll make some of the best tasting coffee you’ll ever have! 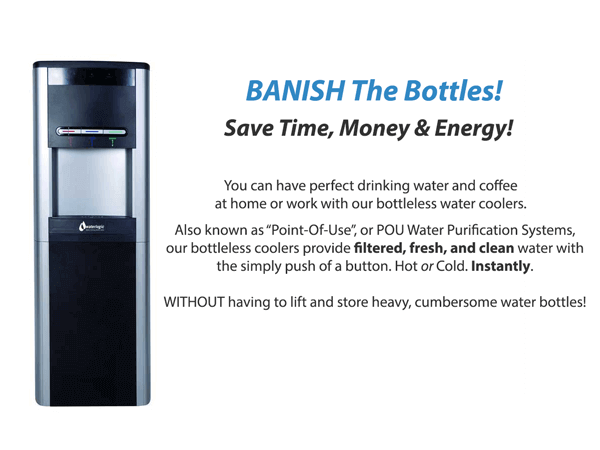 Our Bottleless Water Coolers will save you time, money and energy at the office from having to deal with heavy, cumbersome water bottles. 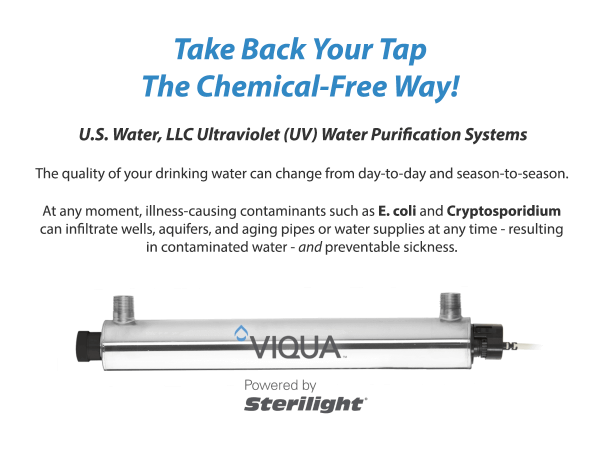 Get consistent water quality from day-to-day & month-to-month with our UltraViolet (UV) Water Purification system. Save Time, Money & Energy w/o Bottles! Great Tasting Water In A Simple Twist! 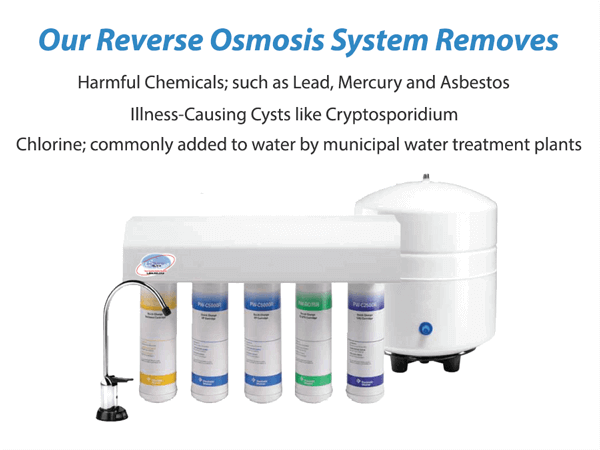 Clean Your Water The Chemical-Free Way!